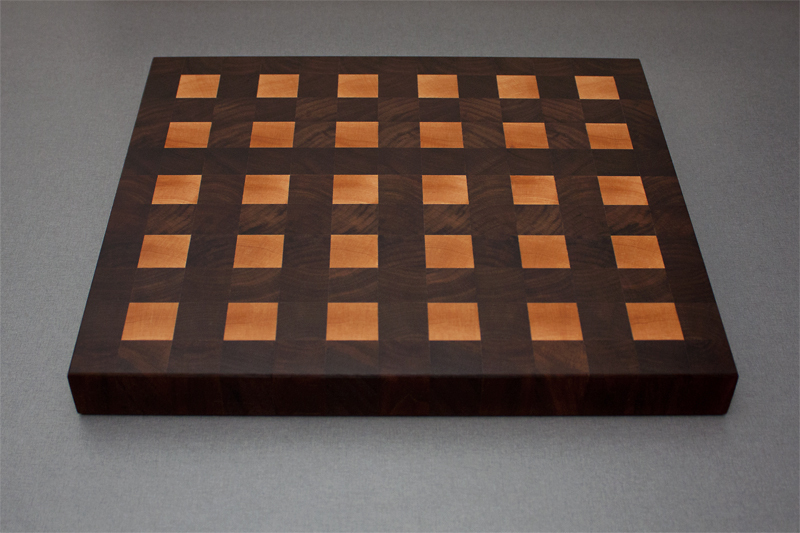 End grain cutting boards might look complicated, but they are actually quite simple to make when you understand the principle behind them. They can be as simple or elaborate as you want, using contrasting woods to form unique patterns. These cutting boards are the perfect gift and are a great way to use up those scraps of hardwood you have lying around the shop. 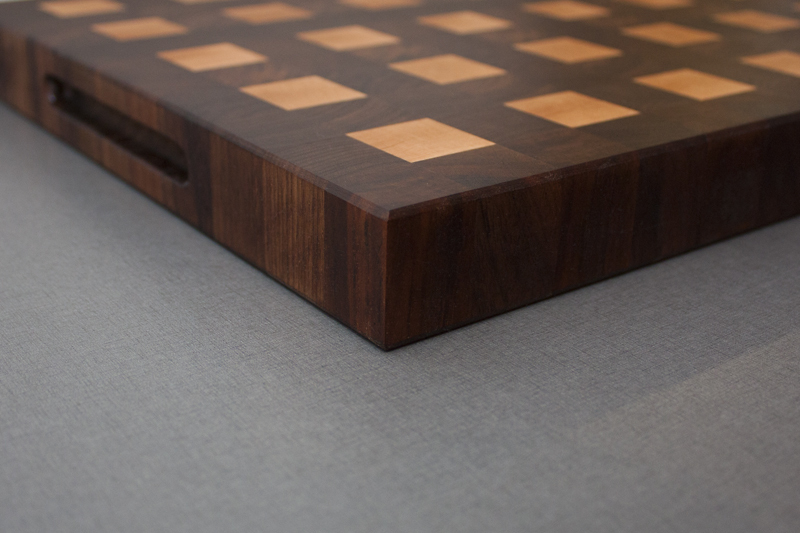 End grain boards are easier on the knife edges and will last much longer. 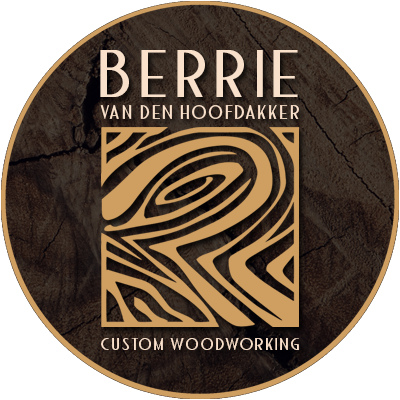 When cutting, the edge goes between the wood fibers and those fibers aren’t severed. 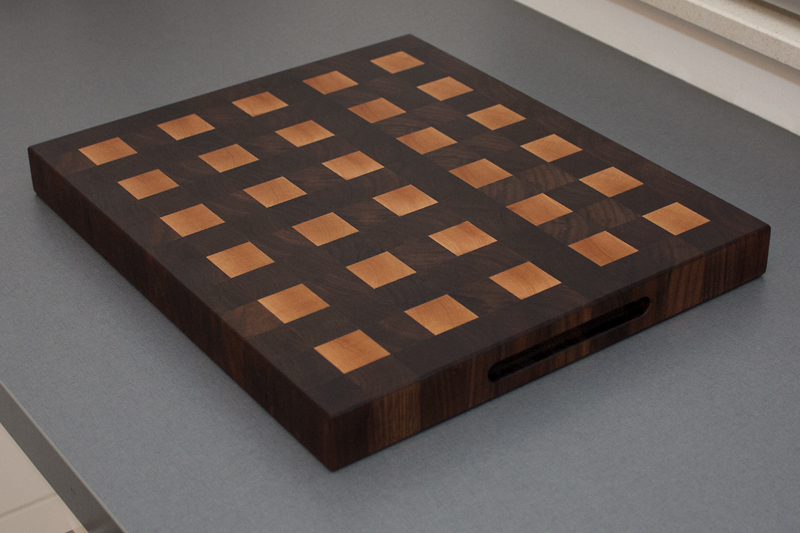 Long grain cutting boards, while they are much easier to make and much less expensive, will have their wood fibers severed as an edge cuts across. They will require resurfacing more often to rid the cutting surface of splinters. 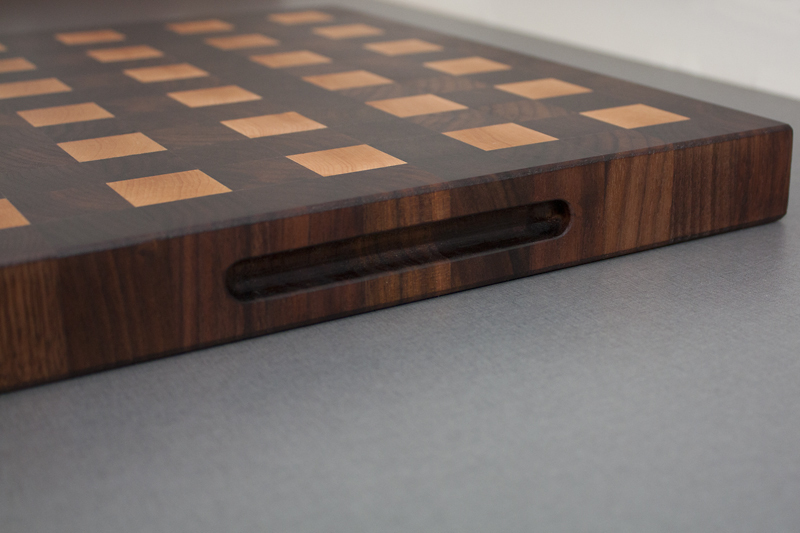 In this blog I’ll show you an end grain cutting board I’ve made from Black Walnut and Hard Maple. Glued with waterproof food safe Titebond III.